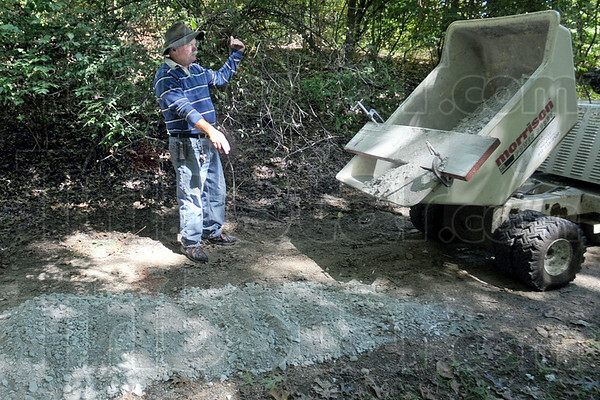 Trail work: Parks department employee Jimmy Wahl directs the spreading of materials onto a trail near the J. I. Case Westlands Monday afternoon. Work is scheduled to be complete by next week.